Reach 15000 points within 120 seconds to complete the level. This level have normal difficulty and you need to play from bottom that will help to shuffle candies every where. 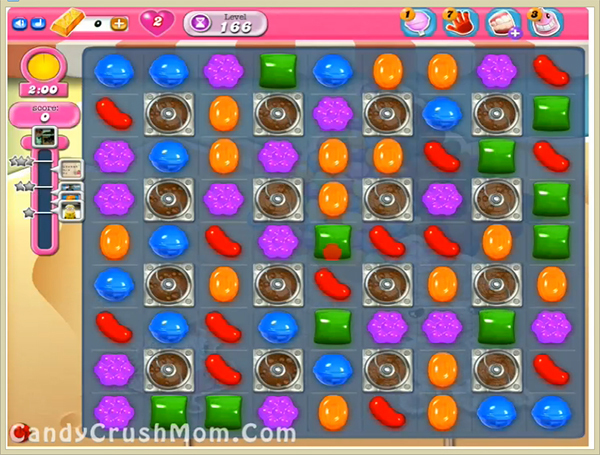 If you get any colorbomb then try to combine with normal candy it will help to get more score within less time. Use wrapped candy or if you get any bonus time candy then try to take it possible. We completed this level with 28700 score using same strategy and got two star score at the end of the level.